Introducing the latest project from SPI, the largest EPS manufacturer with over 40 years experience in manufacturing and supplying a range of EPS products. 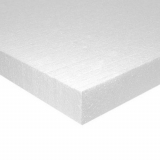 Here at Insulation Superstore we are proud to offer Stylite EPS polystyrene floor insulation in a range of sizes and thicknesses to suit your project. Stylite floor insulation can be used in a wide range of floor applications throughout domestic and industrial properties, but is most commonly used below a concrete slab, screen or chipboard floor finish. Super easy to install, Stylite’s EPS polystyrene floor insulation will provide you with a quick way to satisfy the building regulations and U value requirements.